As this past weekend’s No. 1 box office smash “Cinderella” enchants audiences nationwide, the magic of Cinderella plays out on a grand scale each day at Walt Disney World Resort. Here are 12 ways to have a Cinderella-inspired stay at Walt Disney World Resort. 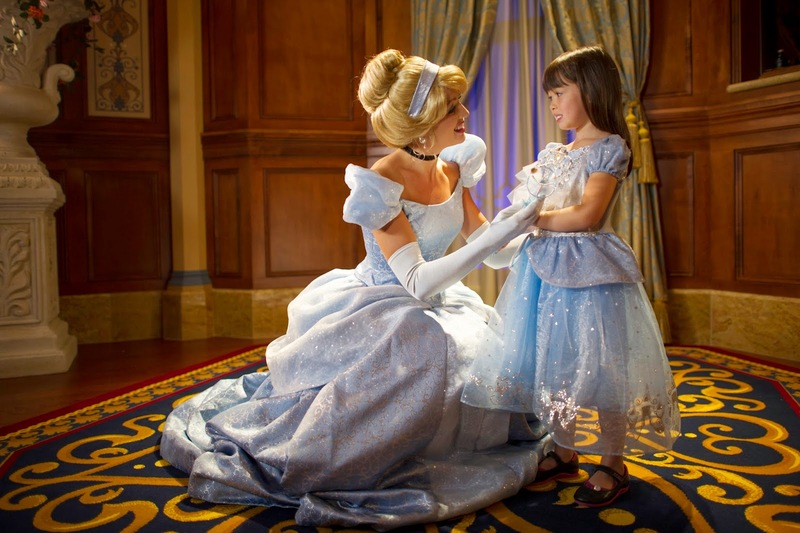 Meeting Cinderella in her royal castle is a dream come true at Cinderella’s Royal Table, where you can dine with Cinderella and her royal friends. Specializing in feasts fit for royalty, this one-of-a kind dining experience will make you feel like you’re living a fairytale. Breakfast, lunch and dinner are offered daily. Reservations can be made up to 180 days in advance by calling 407-WDW-DINE (407-939-3463) or by visiting DisneyWorld.com/dining. Elegantly finished rooms welcome you to the home for visiting royalty in the Magic Kingdom at Princess Fairytale Hall where you can meet Cinderella and other princesses. Here you can take photos, get royal autographs and hear stories from Disney princesses many adventures in a spacious gallery adorned with portraits of the princesses, and even catch a glimpse of Cinderella’s infamous glass slipper. Step in front of the exquisite golden carriage used in the production of Walt Disney Studios’ all-new, live-action “Cinderella” to capture a memorable photo at Disney’s Hollywood Studios. The Streets of America movie theater façade has rolled out the blue carpet for this special photo opportunity for theme park guests. Decked out in gold leaf and measuring 10 feet tall and 17 feet long, the carriage will be on display through April 11. Marvel at the magical details in one of the Royal Guest Rooms at Disney’s Port Orleans Resort. Fit for a prince or princess, the themed rooms immerse you in favorite Disney fairytales with touches of gold and elegant crystals in the décor, as well as special headboards that create a magical “fireworks” display and special mementos left behind by Disney princesses. 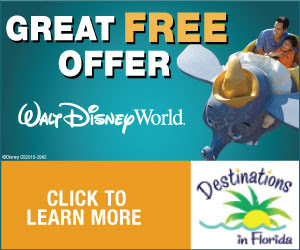 Reservations can be made by calling 407-939-5277 or by visiting DisneyWorld.com/resorts. A Fairy Godmother-in-training will transform the little princess in your life with a wave of her magic wand. Girls ages 3-12 can select their hairstyle, make-up, nail color accessories and a Disney princess costume, if they wish, in this enchanted beauty salon. Little princes can even join in on the fun too, as Fairy Godmothers-in-training can transform them into heroic knights. There are two boutique locations to choose from, one inside Cinderella Castle at Magic Kingdom and one at Downtown Disney inside the World of Disney retail store. Reservations can be made by calling 407-WDW-STYLE (407-939-7895). Pick up some favorite items to tell your Cinderella story, including costume dresses and accessories, a Cinderella Castle play set, dolls and mugs as well as unique items such as a custom phone case at D-Tech on Demand in the Marketplace Co-Op at Downtown Disney Marketplace, a new premium popcorn bucket shaped like Cinderella’s carriage, and a Cinderella-themed retail MagicBand that is coming to Walt Disney World stores this spring. Sit back, relax and choose from signature pedicures such as a 50-minute pedicure that uses organic oils to ease stress and tension at one of the Senses – A Disney Spa locations: either Disney’s Grand Floridian Resort or Disney’s Saratoga Springs Resort. You can enhance the rejuvenation session with add-ons such as aromatherapy oil and firming leg treatments, or go big and add on a facial or full body massage. Reservations can be made by calling 407-WDW-SPAS (407-939-7727). Feel like a prince or princess yourself by taking a relaxing stroll or a selfie in the new Magic Kingdom Central Plaza area designed to be reminiscent of castle gardens. The sculpted gardens, charming fountains and new pathways are part of the ongoing transformation surrounding Cinderella Castle in the Magic Kingdom. If a glass slipper isn’t quite your thing, head to Downtown Disney where the shoe options are unlimited. Find stylish flip flops for men, women and kids made with the highest quality rubber at Havaianas, with hundreds of styles to choose from. There’s even “Make Your Own Havaianas,” where you can customize the casual footwear. Or stop in Sanuk, with more than 175 fun and comfortable designs that are funky and functional. Favorite styles including Yoga Mat Sandal Collection are available for purchase. Couples looking for a truly magical wedding venue can look to Disney Fairytale Weddings for the perfect backdrop to their special day. From arriving in Cinderella’s Coach to taking wedding photos in front of Cinderella Castle, the options are endless for brides looking to live out the fairy tale. Brides-to-be also can channel Cinderella’s timeless elegance in a new Cinderella-inspired gown from America’s foremost bridal company, Alfred Angelo. The new limited-edition gown is in honor of Walt Disney Studios’ live-action feature “Cinderella,” and joins the 2015 Disney Fairytale Weddings bridal collection. Brides can find the Cinderella gown starting Mid-April at Alfred Angelo stores across the U.S. and specialty retailers worldwide. You’re the honored guest of Cinderella and Prince Charming at this enchanting dinner buffet at Disney’s Grand Floridian Resort & Spa’s 1900 Park Fare restaurant. The Princess’ storybook friends join in the festivities as you choose from delectable seafood, salad, pasta and beef dishes, representing several “kingdoms” from around the globe, plus kid-friendly options as well. Reservations are available by calling 407-WDW-DINE (407-939-3463) or by visiting DisneyWorld.com/dining. Well before the clock strikes midnight, you can watch the nightly dazzling “Wishes” fireworks display at Magic Kingdom. The night sky plays host to a wish-granting fireworks spectacular synchronized to an unforgettable musical score. Brilliant colors wash over Cinderella Castle as bursts of light and pyrotechnic effects take center stage high above the castle.